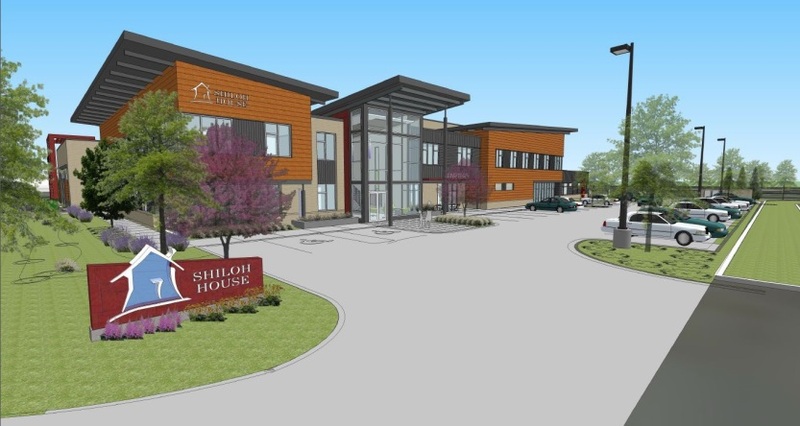 Design build mixed use office and housing for the Shiloh House organization. 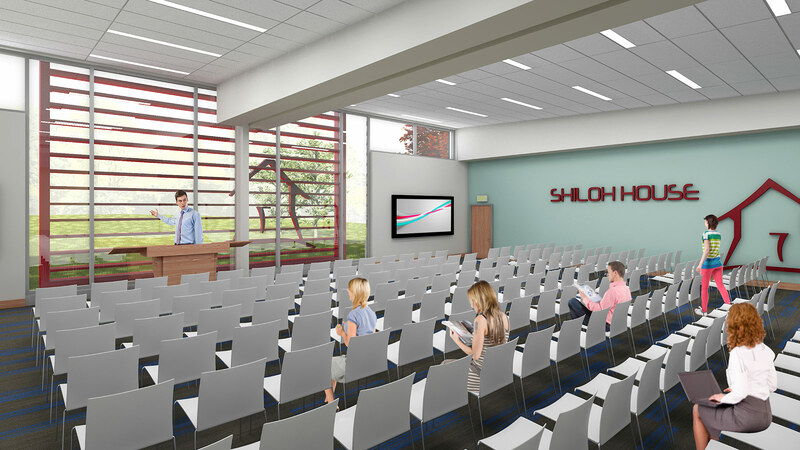 Shiloh House is a two story family resource center with a variety of family services. Level one of the main building contains a conference hall, office space, meeting rooms, coffee shop, cafeteria, and kitchen. Level two contains office space, meeting rooms, training rooms, and a shelter component. The total gross square footage is 27,115.